Weight Loss Surgery in Mexico, also known as bariatric surgery has boomed in recent years as adult obesity rates continue to increase across the U.S. and Canada. For Americans who don’t have health insurance, traveling to Mexico for low-cost bariatric surgery is a great financial option. Even Canadians who have government healthcare, make the trip to Mexico every day for weight loss surgery because the wait time in Canada can exceed five years or more. By heading to Mexico, Canadians can receive a potentially life-saving medical procedure five years sooner. Unfortunately, having bariatric surgery in the U.S. or Canada can be very costly. Even if you have health insurance coverage, a procedure such as gastric sleeve or gastric bypass many may not be covered, costing you upwards of $25,000. 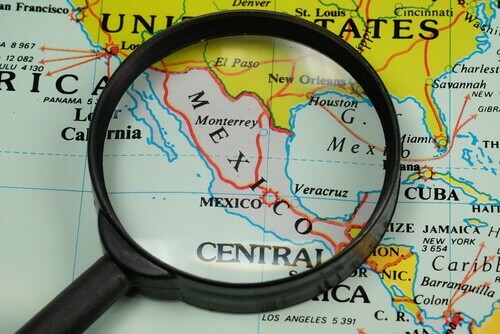 The same bariatric procedure can be performed in Mexico with comparable quality of care for up to 75 percent less cost. 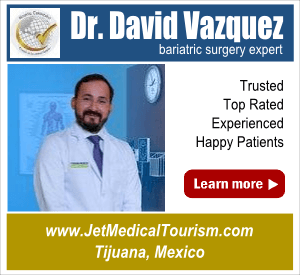 Is Mexico a Safe Destination for Weight Loss Surgery? Excess body weight is a persistent problem in the US and Canada, and this problem is burgeoning each year. However, an overwhelming number of obese persons are unable to access weight loss treatments because they don’t have medical insurance, or their medical care excludes bariatric treatments. For these types of patients, medical tourism in Mexico for bariatric treatment has emerged as a safe and affordable alternative. Research data strongly points in favor of weight loss surgery in Mexico. The medical tourism industry in Mexico is growing at an astounding rate – 25% annually! Approximately 1.8 million Americans open the door for offshore medical treatment in 2018. A large part of these patients sought weight loss surgery in Mexico. A study conducted at a renowned Bariatric Surgery Center in Mexico found that all 500 patients (who were the subject of the study) reported 76.9% weight loss at 12 months and 77.6% at 24 months on average. Who can help you schedule bariatric surgery in Mexico? Your best bet is a proven, reliable, and experienced medical tourism advisor in Mexico. They will understand your health condition and offer you the best bariatric center in Mexico at the best price. Claudia from San Francisco signed on the dotted line for gastric sleeve surgery in Tijuana after talking to an advisor. She lost almost 80% of her belly fat and is very happy with the results. If you are looking for weight loss surgery in Mexico, connect with a well-known medical tourism advisor such as Jet Medical Tourism for a win-win deal. Why consider Mexico for your weight loss surgery? You should not rush into booking surgery at the very first “great offer”. Its best to shop around and do your research. Traveling abroad for any medical procedure can be a cause of concern. And, you’ll want to know if Mexico is a safe destination. The short answer is, Yes. It is safe to have weight loss surgery in Mexico if you take precautions, don’t have insurance and prefer to self-pay for your procedure. Mexico is one of the world’s most popular medical tourism destinations to schedule weight loss surgery. Accredited Bariatric Surgery Hospital: Many leading weight loss surgeons in Mexico operate at hospitals with JCI accreditation. This ensures that the hospital is up-to-date with surgery technology, the surgeons are board certified, the necessary protocol for post-operative bariatric care is in place, and more. Full-Service Facilities: Most qualified bariatric surgeons use reputable weight loss surgery centers in Mexico that are fully equipped to handle all bariatric surgery procedures. 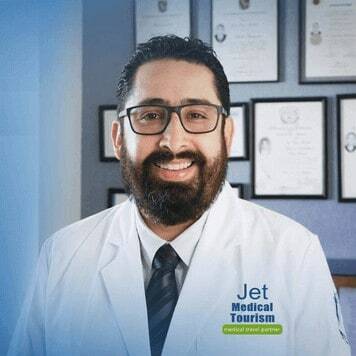 Reliable Transportation: The drivers at Jet Medical Tourism have a long and successful history of providing safe ground transportation services to patients of the most renowned bariatric surgeons in Mexico. Our drivers are on-time over 99 percent of the time. You can expect a friendly courtesy call 1-2 days prior to your departure date. This level of trust, credibility and experience ensures patient safety at all times. Being overweight or obese can be a physically and financially troubling situation. The fringe health effects of obesity cost a person over $92,000 over their lifetime, apart from the severe health and fitness limitations that the condition causes. In recent years, medical tourism in Mexico has become a booming activity, thanks to thousands of Americans seeking bariatric surgery there. Surgery costs are 65% to 80% cheaper than in the US, so they can be accessed by even the non-insured or under-insured US citizens. Compared to the lifetime monetary cost of obesity and its side effects, a gastric sleeve surgery in Mexico costs just $4,500, and a gastric bypass, just $5,700. This amounts to extraordinary savings of up to $25,000 per patient! The amount multiplies if the family has two or more members seeking weight loss surgery in Mexico. With over 90% success rate and impeccable medical facilities and infrastructure, the benefits of low cost weight loss surgery in Mexico is nothing less than world-class, at a fraction of its US equivalent cost. 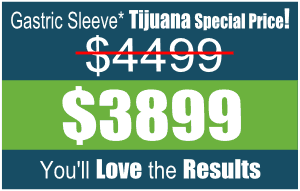 With its outstanding track record, Tijuana has become synonymous with superior yet inexpensive bariatric surgery. 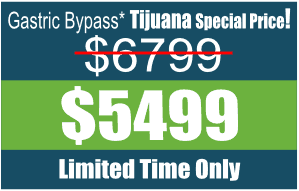 A mini gastric bypass will cost $35,000 in the US, but the same procedure, with comparable efficacy and care, will cost just $5,500 in Tijuana! Importantly, weight loss surgery packages in Mexico are all-inclusive and they often include post-operative and recuperative costs. This further adds to the savings that the US patients may achieve, if they choose weight loss surgery in Mexico. Obesity is a widespread problem in the US today, but its treatment is prohibitively expensive. For Americans suffering from obesity, Tijuana is rapidly becoming a preferred destination for weight loss surgery in Mexico. The main reason is affordability. Any weight loss surgery in Tijuana is substantially lower than in the US. That’s why the Medical Tourism Association in the US recommends bariatric surgery in Mexico, and in particular, in Tijuana. 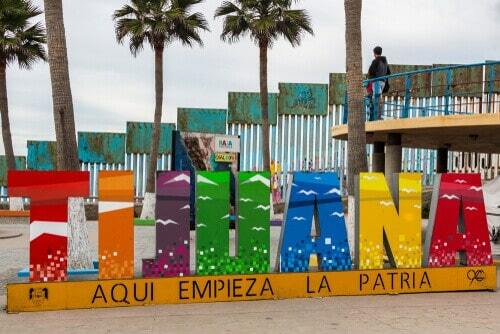 Contemporary Tijuana is a resurgent, vibrant metro city, 100% safe and reliable for foreign travelers. The city has a rich cultural touch to it, with a mix of old-world charm and metro-city lifestyle. In many ways, Tijuana offers a complete border-town experience with its eclectic mix of cultures, a wide range of exotic restaurants and bars, and a boisterous nightlife. Medical tourists are respected in Tijuana because the locals recognize their economy depends on them. Tijuana boasts some of the best bariatric centers in Mexico. The bariatric centers in the city offer a comprehensive coverage of weight loss surgery in Mexico. These include gastric bypass surgery – either full or partial, gastric sleeve surgery, adjustable gastric band, and many more. Tijuana is very accessible. You can be there in about 30 minutes from San Diego, California! The bariatric centers in Tijuana offer world-class facilities, medical expertise, and after-care. For a dream deal that ensures quality as well as affordability, talk to one of the accomplished medical tourism advisors such as Jet Medical Tourism. The obesity problem in the US has reached epidemic proportions, but the cost of its treatment is unappealing. Over the last decade, Mexico has become a major medical tourism destination focused on weight loss surgeries and other treatments. In particular, Nuevo Laredo Mexico is emerging as a convenient destination for Texans who want weight loss surgery. Extremely cost-effective in comparison with the treatments in the US. 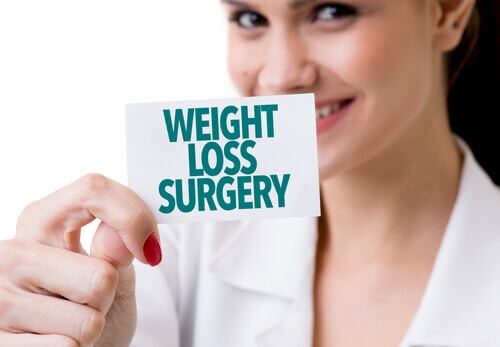 The cost of any weight loss surgery is one-third or even less than that in the US or Canada. Close proximity. Nuevo Laredo Mexico is just across the US border from Laredo, Texas. It is easily accessible by road and air (Laredo International Airport). World-class treatment. Patients get the best of both the worlds in Nuevo Laredo Mexico – best weight loss surgery at best price. Broad range of treatments. 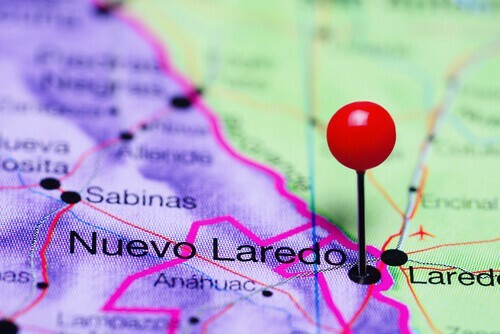 Nuevo Laredo offers almost all types of bariatric surgeries, including gastric sleeve surgery, gastric bypass, and even revision of failed bariatric surgeries. State-of-art talent, technology, infrastructure, and accredited medical centers. Nuveo Laredo can today boast of some of the best doctors, surgeons, and medical staff in Mexico. Highest success rate. Bariatric surgery in Nuveo Laredo has one of the highest success rates in the world. This is a big positive for concerned patients from the US and Canada. In recent years, Cancun has witnessed a high influx of medical tourists from the US and Canada wanting to undergo weight loss surgery. The city offers international standard bariatric surgery packages at very affordable prices, which are 65% to 85% less than their US equivalent costs. With such “attractive” packages, you may wonder whether the quality of weight loss surgery in Cancun is actually as good as advertised, and whether it is safe to choose Cancun as your destination. The answer lies in selecting an experienced and sensational medical tourism facilitator who can guide you correctly through the entire process. 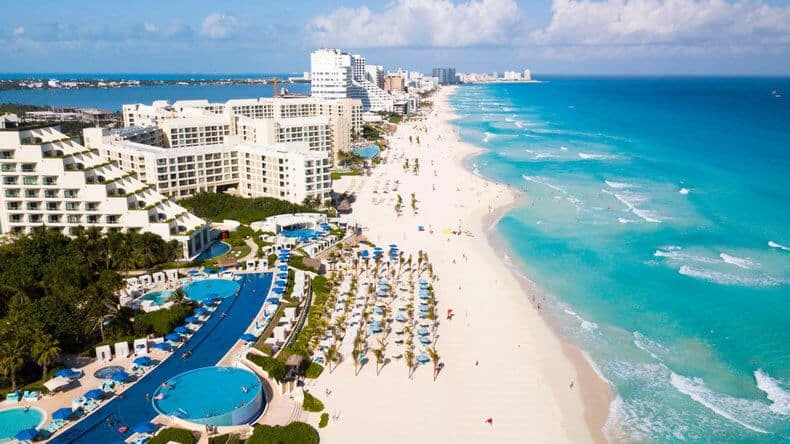 One of the most dependable ecosystems of medical tourism in Mexico is offered by Cancun. Cancun bariatric surgery hospitals and clinics are equipped with the latest and the best talent, technology, and infrastructure. 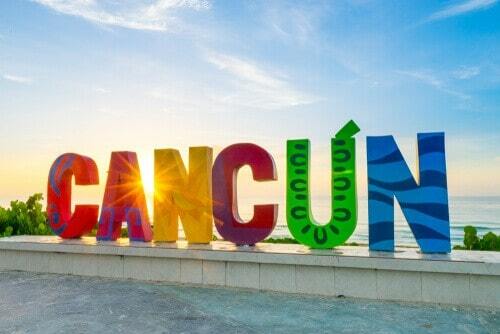 Cancun’s success rate in bariatric surgeries is on par with the US average. The city is easily accessible from the US. Cancun assures complete privacy and confidentiality. Convenient payment options, be it cash in US dollars, or PayPal. Comprehensive packages that cover all expenses including post-operative and recuperation cost. Jet Medical Tourism, with an enviable track record of handling many cases of weight loss surgery in Mexico, is the ideal go-to medical travel agency. They have a wide range of packages to suit various budgets, and the best of JCI or CSG accredited hospitals and clinics in Cancun. Medical tourism in Mexico has flourished mainly due to the surge in bariatric surgery cases. Overweight or obese patients from the US and Canada are now preferring weight loss surgery in Mexico due to its affordability and world-class quality. This burgeoning trend indicates that Mexico is considered a safe choice for superior weight loss treatment at 60%-80% lesser cost! This is particularly beneficial for those who are uninsured or persons whose medical insurance does not cover bariatric procedures. There are several options available to patients wanting to undergo weight loss surgery in Mexico. JCI accredited hospitals. These hospitals are accredited by the Joint Commission International – the global arm of the Joint Commission or the JCI, the most respected accreditation agency in the US. Hospitals certified by the Mexican government. Their accreditation framework is based largely on the JCI model, but they are recognized by the Mexican Medical Ministry of Health. It is called the CSG. Non-accredited clinics. These hospitals also have superior facilities and infrastructure comparable to the accredited clinics, but they prefer to let go of the rigorous accreditation process and rely on their reputation to attract patients. Independent weight loss centers. These facilities do not have a hospital setting, but still maintain very high standards of procedures and caregiving. While selecting your option, research your choices thoroughly. 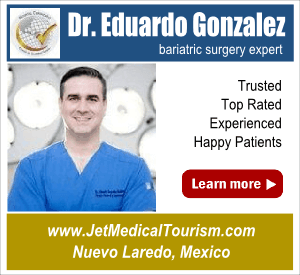 In particular, deep-dive into your Mexico bariatric surgeon’s profile and track record. On top of this, you should also focus on your local post-procedure recuperation agenda. Affordable weight loss surgery in Mexico encompasses a number of different types of bariatric surgery that can aid with your weight loss goals. Each procedure is unique in terms of surgery method, success rates, expected weight loss, and other benefits. Gastric sleeve surgery, also referred to as vertical sleeve gastrectomy or vertical gastric sleeve, was originally created as the initial stage of a two-stage procedure as a weight loss measure for people who were obese or with high health risks. At present, the gastric sleeve procedure is the most common type of weight loss surgery in Mexico. Gastric sleeve surgery in Mexico is generally performed with a laparoscope and involves permanent removal of about 75% to 80% of the stomach. Unlike the gastric bypass procedure or the lap band procedure, the gastric sleeve is permanent and not reversible. The part of your stomach that remains after surgery is a tubular pouch that looks like a banana or sleeve. The gastric sleeve in Mexico promotes weight loss by restricting the amount of food the new stomach can hold. This limits food consumption at one time and reduces the number of calories absorbed by the small intestine. The result is rapid weight loss. Most people who travel to Mexico for the gastric sleeve experience a 50% to 80% reduction in excess body weight within 12 to 16 months of surgery. The procedure is highly effective and gastric sleeve patients can reap numerous health benefits: remission of type 2 diabetes, lower blood pressure, lower cholesterol, remission of obstructive sleep apnea, greater mobility, elimination of medication, and more. You may hear this question a lot, “Who are the best bariatric surgeons in Mexico? In general, there is never a “the best surgeon in the world” type scenario. The reason is because if a bariatric surgeon in Mexico is very good; then there will always be a better surgeon, and so on. When traveling to Mexico for weight loss surgery, your goal should be to choose a surgeon that’s right for you. We believe that the best bariatric surgeons in Mexico are ones that care for you and your well-being as they would their own life or that of a loved one. Are you comfortable talking with the surgeon? He or she should make you feel comfortable and at ease. The surgeon should make you feel confident that they will perform the surgery to the highest professional standards. Does the surgeon answer all of your questions? It’s only natural to have questions about weight loss surgery in Mexico. Make sure the surgeon answers all your questions so you are not left with any unclear answers. Try to generate a list of questions prior to arriving at the hospital in Mexico. This will help address any concerns you may have before surgery. Does the surgeon perform bariatric surgery regularly? When it comes to bariatric surgery in Mexico, you want to find a surgeon who has performed the procedure not a few times, but thousands of times. Look for a doctor who regularly performs your surgery. Does the surgeon care for you and your life as he would his own life? During surgery, patients are dependent on the technical skills of the surgeon and his surgical team to get them safely through the procedure. Hospital operating rooms can be stressful environments and they require exceptional surgery team work (surgeons, anesthetists, nurses and technicians) to function properly. Does the surgeon have testimonials from past bariatric patients? Yes, our top-rated Mexico bariatric surgeons have many testimonials from previous patients who were in the same position you are. Our metabolic and bariatric surgeons have performed thousands of successful procedures and are among the best bariatric surgeons in Mexico. You can trust that your weight-loss surgery will be performed to the highest standards of safety and comfort by a team of skilled surgeons. How Much Does Weight Loss Surgery Cost in Mexico? The cost of weight loss surgery in Mexico can range from $3,500 to $10,950, and averages $4,750. The cost of your procedure will be dependent on several factors including, type of bariatric surgery, the hospital location, and surgeon’s fees. On average, you could save up to 75 percent on the cost of bariatric surgery by traveling to Mexico, making cost-savings one of the biggest benefits. For instance, the gastric sleeve procedure: in the U.S., the surgery costs an average of $19,000, whereas the same procedure in Mexico averages $4,500. That’s a cost savings of $14,500. Even when you factor in the cost of travel and accommodations, it’s still well worth traveling to Mexico if your goal is to save money on potentially life-saving bariatric surgery. When medical tourists learn about the benefits of low cost weight loss surgery in Mexico, they wonder if the lower cost is due to a lower standard of medical care. For instance, medical expenses in Mexico are much less expensive because the country has lower costs for living, salaries, training, insurance, equipment and more. This translates to lower costs to perform bariatric surgery in Mexico, and those costs are passed on to medical tourists in the form of financial savings. 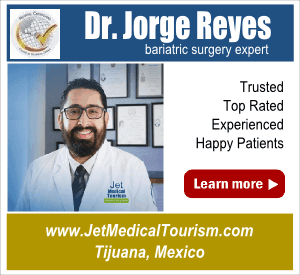 Jet Medical Tourism is proud to offer among the most competitive self-pay package rates for weight loss surgery in Mexico without sacrificing the quality of healthcare or patient safety. As a result, hundreds of U.S. and Canadian medical tourists make the trip to Mexico each day to take advantage of significant cost savings. The price for gastric sleeve surgery in Mexico is significantly less when compared to the U.S. and Canada. If you do not have insurance, the full cost of the procedure, and any additional costs, will be your responsibility. For example, if you’re an American or Canadian without insurance coverage, you will typically pay a whopping $19,000 for the gastric sleeve procedure. On the other hand, medical tourists who travel to Mexico will save up to 75% on the cost of vertical sleeve gastrectomy (VSG) compared to skyrocket prices in the U.S. and Canada. 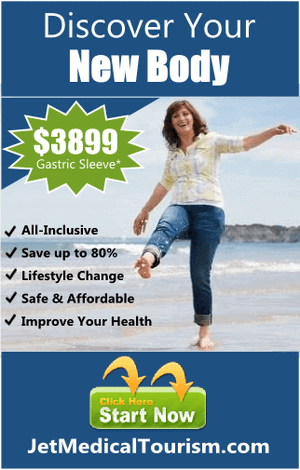 If you’re seeking affordable healthcare, choosing Mexico for gastric sleeve surgery can save you thousands. It’s been proven that bariatric surgery can improve your health, quality of life and promote weight loss when diet and exercise fail to work. But if you don’t have health insurance (self-pay), financing weight loss surgery in Mexico may be the only option available to you. Whether you intend to self-pay or apply for a medical loan, we offer an array of payment options to help you finance weight loss surgery in Mexico at competitive rates. Our bariatric coordinators can assist you in your journey. They can help you choose the best financial option for your budget and make it easier than ever to help pay for weight loss surgery and non-surgical weight loss expenses. For many individuals, self-paying for weight loss surgery in Mexico may not be the ideal scenario. But it may be a better option than living without bariatric surgery, which means living in pain or with unhealthy conditions related to obesity. 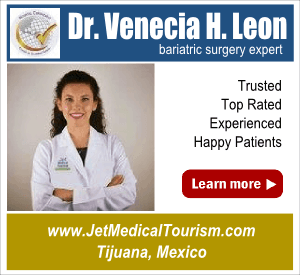 Jet Medical Tourism is proud to offer a low-cost price on bariatric surgery in Mexico for people paying out-of-pocket. Our financial coordinators can help you navigate this process while keeping your expenses down. While some people can cover the cost of their surgery in full or with an insurance plan, many require other options to finance their weight loss surgery in Mexico. We have partnered with several bariatric surgery financing companies that can help you pay for your weight loss surgery in Mexico. Their online applications are simple, and they provide a quick approval process. Most lenders offer competitive interest rates and loan terms up to 7 years. In general, these lenders will require a minimum credit score of 620 with a clean credit history to qualify for a medical loan. You can also add a cosigner who has good or excellent credit which will add strength to your loan application. While the risks of medical complications from laparoscopic bariatric surgery in Mexico are low, no surgery is risk-free and potential complications can occur. When a medical complication happens in Mexico, it is your responsibility to pay for the additional costs related to the procedure. Having a complications insurance policy in place before surgery provides you peace of mind. Who should purchase medical tourism insurance coverage? A complications insurance policy is ideal for people in the U.S. and Canada who travel to Mexico for weight loss surgery. Whether you have a gastric sleeve or gastric bypass procedure, medical tourism insurance protects against unexpected costs due to complications. Where can I purchase medical tourism insurance coverage? Before you travel to Mexico for bariatric surgery, we recommend that you talk with a representative of Global Protective Solutions (GPS). GPS is a recognized world leader in providing complications insurance for international medical travelers. It is important that you learn more about medical tourism insurance coverage before having weight loss surgery in Mexico. If you’re looking for reviews on weight loss surgery in Mexico from real patients, you’ve discovered a resource to help you. Jet Medical Tourism is happy to share with you the reviews and testimonials of past patients who traveled to Mexico to have bariatric surgery. If you’re like most people, you’ll want to know what to expect upon arriving in Mexico. One of the best ways to reduce any concerns or travel stress is to read online reviews and testimonials from past patients. People who were in the same shoes as you before they made the trip to Mexico to undergo surgery. In fact, it’s estimated that nearly 65 percent of patients say they like to use online resources to read weight loss surgery in Mexico reviews or watch video testimonials from previous patients. We have helped hundreds of patients just like you with affordable weight loss surgery packages in Mexico. By reading our reviews on gastric sleeve in Mexico, you’ll learn more about our bariatric surgeons, hospitals, hotels, and ground transportation services. In addition, most all our gastric sleeve reviews in Mexico will speak favorably about a past patients experience with the services mentioned above. For example, here is a video testimonial review on a patient who had gastric sleeve in Mexico. When reading online Google reviews about gastric sleeve in Mexico, you should look for information or testimonials that speak on multiple topics. It is important that the review highlight a patient’s overall experience with traveling to Mexico for the gastric sleeve procedure. Traveling to another country like Mexico for weight loss surgery is also referred to as medical tourism. It’s estimated that hundreds of thousands of U.S. and Canadian medical tourists travel to Mexico for medical care each year. Top Destination: Mexico ranks in the top five destinations for medical tourism world-wide. It’s the #1 destination in the world for gastric sleeve and gastric bypass surgery. Cost Savings: You can save up 75 percent on the cost of weight loss surgery in Mexico compared to the prices in Canada and the United States. Fast Scheduling: Mexico offers drastically reduced waiting times and greater flexibility in scheduling compared to the United States and Canada. High Quality Healthcare: Mexico provides comprehensive healthcare and state-of-the-art medical facilities that either Joint Commission International or CSG accredited. Top Rated Doctors: Mexico has many weight loss surgeons who are highly trained and skilled professionals with excellent patient safety records in performing surgeries. Privacy: You may consult close friends and family about your decision to have bariatric surgery, but it’s still a private matter for many people. Traveling to Mexico for the procedure can offer you much privacy.